Mesut Özil has had a memorable season in English football; he will however have to earn his spot in the German side for this World Cup. Mesut Özil's season started off in a blaze of glory; he secured a move from Real Madrid to Arsenal following the departure of Jose Mourinho and put in a few glorious performances. However, Arsene Wenger was not quite as wise as Mourinho in terms of using the German midfielder regarding fitness. While Mourinho always gave Özil a break, Wenger played him continuously. Eventually, he lost his form, and then succumbed to injury, especially in the absence of a Winter Break. Towards the end of the season, he came back reinvigorated and helped his side to a first trophy in nine years in the FA Cup Final. 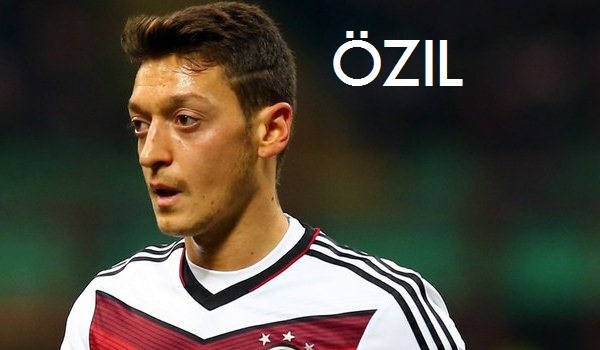 Özil's descendants are Turkish immigrants; he was however born and raised in Germany. The midfielder is relatively young; he is 25. The visionary, born October 15, 1988, is older than a large portion of the German squad. He can play in any position behind the striker, including on the wing and in the hole. In Arsenal, he has been highly successful as a Central Attacking Midfielder. Özil played a major role in taking Germany to the World Cup as he scored eight goals. His performances were excellent throughout the qualifying campaign. However, he will face increased competition for his spot this time around. Joachim Löw tends to remain faithful to the players he likes though and as a result, Özil should already have a starting spot booked in the team sheet. Özil is a wonderful midfielder with a hawk's eye for a pass. His vision is what makes him stand out, especially as a CAM. He provided many assists for Cristiano Ronaldo in his Madrid days. The one criticism which can be aimed at Özil (and a few other German visionaries such as Toni Kroos) is that he tends to be a passenger in games which are not going well for his team; he cannot really pull a team by himself, even though, he should never have to. He has won multiple honors with his clubs; the FA Cup was his third national cup. He won the DFB Pokal in Germany in 2009, a game which will always remain a career highlight for him as he scored the winner against Leverkusen in a 1-0 victory in a match dubbed "The Scared Rabbit Final". Also, he won the Copa del Rey in Spain. Özil was part of Mourinho's La Liga winning side. He played a part in Werder Bremen's run to the UEFA Cup Final in 2009 as well, eventually losing out to Shaktar Donetsk. The midfielder was highly influential in Germany's U-21 European Championship victory in 2009. On a personal level, he has twice been elected to UEFA's Team of the Year (2012, 2013). Özil and Manuel Neuer came up through the ranks of Schalke's youth team together. Neuer remained until his transfer to Bayern but Özil fell out with club management and moved to Bremen. Özil is in the habit of reciting prayers before kick-off in the hope of well being and a positive outcome. Özil stood out in the final of the U-21 European Championships in 2009; he was awarded the Man of the Match award as Germany thrashed England 4-0.